Vietnam and Canada issued a joint statement on the establishment of a comprehensive partnership during Canadian Prime Minister Justin Trudeau’s official visit to Vietnam on November 8-9, 2017. The two countries have decided to enhance their cooperation and friendship towards a comprehensive, substantive, effective, stable and sustainable relationship both bilaterally, regionally and internationally, to meet their interests and to contribute to maintaining peace, stability, cooperation and development in the Asia Pacific and the world. “The bilateral comprehensive partnership is indicative of Canada’s warm and growing relationship with Vietnam, and our commitment to strengthening the ties that binds Canada and Vietnam together,” said Ms Ping Kitnikone Ambassador of Canada to Vietnam in an interview with Vietnam Business Forum. 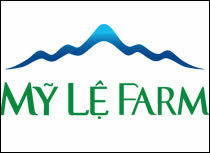 Lan Anh reports. How would you assess the relationship between Canada and Vietnam over the past years, especially in trade promotion and investment cooperation? Canada and Vietnam enjoy a positive and growing bilateral relationship, thanks to a high level of complementarity of the two economies and the growing interest of both the Vietnamese and Canadian businesses in each other’s market. A milestone in our bilateral diplomatic relations was Prime Minister Trudeau’s official visit to Hanoi in November 2017; the first sitting Prime Minister to pay an official visit to Vietnam since 1993. During the visit, the two countries formalised the bilateral comprehensive partnership, which is indicative of Canada’s warm and growing relationship with Vietnam, and our commitment to strengthening the ties that bind Canada and Vietnam together. This agreement sets the tone for further growth in the bilateral trade and collaboration bilaterally, but also in multilateral mechanisms such as the WTO and APEC. For us, it represents an important framework though which our trade and investment cooperation can continue to flourish. The Canada-Vietnam bilateral merchandise trade reaches new heights every year. In 2016, our countries traded for over C$5.4 billion, up by 15.5 per cent over the previous year. Now for the first 11 months of 2017 (to November), our bilateral trade has already surpassed C$5.6 billion. Agri-food and seafood remain important components of the bilateral merchandise trade, occupying over half of Canadian exports to Vietnam. Canada is known as a world-class exporter of high quality food products, as well as animal nutrition, genetics and grains; a great success story in our bilateral trade. However the strength of our economic partnership is not limited to agricultural trade. 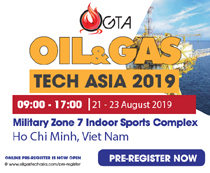 Canadian companies are actively pursuing opportunities in Vietnam in other sectors such as ICT, industrial machinery, consumer products, pharmaceuticals and health products, wood and forest products, aerospace, financial and insurance services, and of course, in sustainable technologies. Another important area of our partnership is education and training. Canada is a popular study destination for many Vietnamese students. In 2016, over 7,500 Vietnamese students were studying in Canada, an increase of 50 per cent over the previous year. By all indications this is expected to grow again in 2017. We are also seeing an increasing trend in Vietnamese institutions seeking partnerships with Canada to help internationalize their programs. In 2017 alone there were at least 7 of these partnerships signed. In Vietnam, we are committed to building our strong and long-standing relations with our Vietnamese partners and finding ways to deepen our ties. Some of these ties included Canada’s support to build capacity toward advocating for the rights of individuals, including LGBTI and women’s rights. The Canada Fund for Local Initiatives in Vietnam has supported and will continue to support similar initiatives in Vietnam. In 2018, I firmly believe that Canada and Vietnam will continue to deepen our commitments towards one another, and pursue similar activities that will strengthen our partnerships and make meaningful progress along the way – especially in this special year during which we mark the 45th anniversary of our diplomatic relationship. 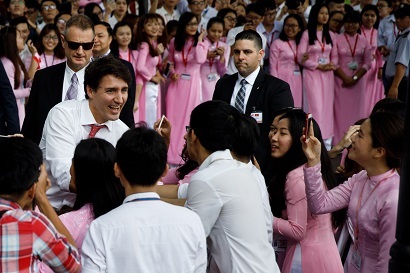 Over the past year, Canada has assisted Vietnam to successfully implement the APEC Year 2017. 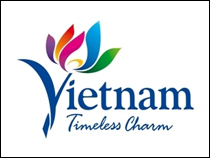 Would you please tell us how Canada plans to support Vietnamese enterprises to initiate business contacts with those from Canada in the coming time? 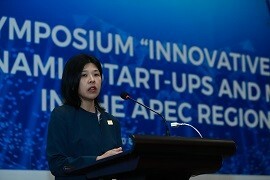 First I would like to congratulate Vietnam for the success of APEC. Vietnam is to be commended for its chairmanship and contributions to the success of APEC year 2017. Canada was pleased to support Vietnam’s APEC 2017 priorities of promoting sustainable and inclusive growth and micro, small and medium-sized enterprises (MSMEs), women in the economy and innovation. We are positive about Vietnam’s development potential, and will continue to work collaboratively with the Vietnamese Government, business communities and other stakeholders to tap the potential for collaboration that exists in various areas. 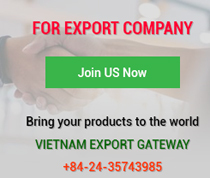 In recent years, there have been Canadian trade delegations to Vietnam in Aerospace and Defence, Agriculture and Agri-food, Mining, ICT and Forestry. 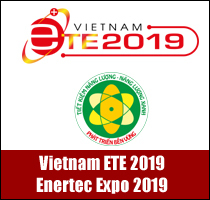 These delegations have met with Vietnamese stakeholders and local industry to learn about the market and better understand each other’s capabilities and demands. We have also led business delegations from Vietnam to Canada with a focus on fish and seafood, forestry and wood products and education. Our focus is to support the advancement of our commercial relations, by helping Canadian companies in their efforts and matching them with the right partners in Vietnam. This year, the Embassy of Canada in Vietnam and the Consulate General in Ho Chi Minh City will continue to work hard towards deepening trade and investment linkages between Canada and Vietnam. What do you think Vietnam needs to do to improve the investment climate to facilitate foreign investors, including those from Canada? Apart from our positive and growing trade relations, Canadian companies are looking to Vietnam as a potential market for investment. We are proud of Canadian success stories in Vietnam, with several Canadian companies having invested in the country in sectors such as financial and insurance services, training and food processing. At the same time we believe more work needs to be done to ensure that the business environment is welcoming of international investors and companies that wish to support Vietnam to reach its full potential. Many Canadian companies are actively pursuing opportunities in a wide range of sectors in Vietnam, and we are proud of Canadian success stories that are contributing to the economic prosperity of the country. Apart from our positive and growing trade relations, Canadian companies are increasingly looking to Vietnam as a potential market for investment. The Government of Vietnam’s continued efforts to improve transparency and accountability, and to streamline administrative procedure at all levels of the economy, government and business are very much welcomed and would contribute to improving the business environment. 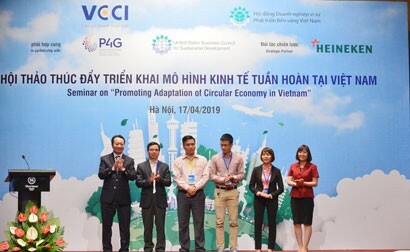 Attracting more responsible and sustainable investment is one of the ways that can significantly contribute to Vietnam’s efforts towards a sustainable and inclusive economic growth model. 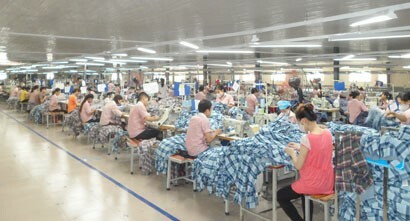 Offering the right sets of conditions to foreign and local investors will be critical to attracting the ‘right’ investors for Vietnam’s long term development objectives. That’s why we welcome the Vietnamese Government’s efforts to improve the market institutions, create a business-friendly legal environment, and to make administrative procedures simpler for businesses. 2018 is the year Vietnam and Canada are celebrating the 45th anniversary of diplomatic relations. As the New Year is coming, what message would you deliver to businesses and readers of Vietnam Business Forum? During this special year marking the 45th anniversary of our diplomatic relationship, I believe that Canada and Vietnam will continue to deepen our commitments towards one another, and pursue activities that will strengthen our partnership and make meaningful progress along the way. We look forward to our continued collaboration with the Vietnamese Government, business communities and other stakeholders to develop further relationships and tap the potential that exists between Canada and Vietnam. I would invite the audience of Vietnam Business Forum to stay tuned to the Embassy’s Facebook pages to be updated with our on-going projects and activities over the year. Finally, on the occasion of Tet, I would like to wish the people of Vietnam a wonderful celebration with your families and friends. May the Year of the Dog give you joy, good health, prosperity and success! My very best wishes for a wonderful year ahead! Chúc mừng năm mới!